I’ve recently been away on holiday and when I returned to my morning commute to the University Library, it struck me how much a part of modern life the rail commute is to many. From the familiarity of knowing exactly where best to stand on the platform to quickly grab your favourite seat, to seeing the same blank faces every morning. Of course the railway commute is not a new phenomenon at all. The Tower Collection contains a varied range of rail guides dating from before the First World War. These include guides to housing along the routes of popular commuter lines, to tourist booklets advertising popular attractions accessible by rail. 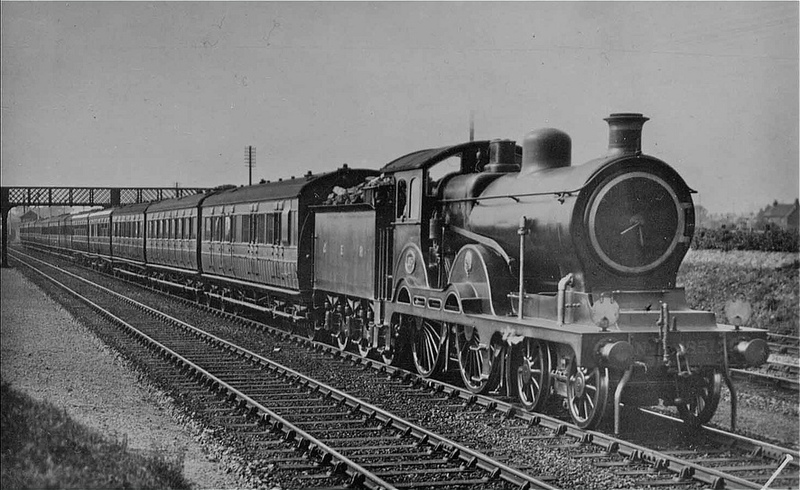 A Great Eastern Railway express train, pulled by a 'Claud Hamilton' class locomotive. The growth of urban living and commuting during the early 20th century went hand in hand with the railways. In the first decades of the 20th Century, Cambridge was located on the Great Eastern Railway network, which fanned out across East Anglia from London Liverpool Street station (todays ‘Greater Anglia’ services run on essentially the same network). 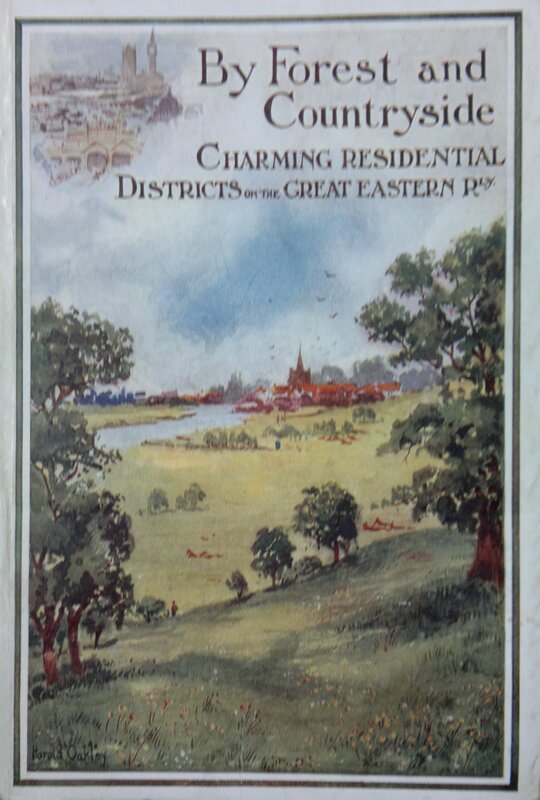 One particularly interesting book in the Tower collection is By Forest and Countryside, a guide to “charming residential districts on the Great Eastern Railway”. This was published by the Great Eastern for prospective London commuters in order to find the best place to live within commuting distance of the city. 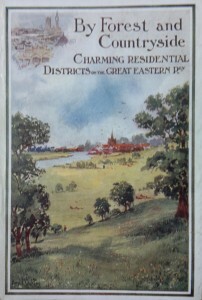 By forest and countryside : a guide to the residential localities on the Great Eastern Railway. Epping High Street in 1911. Another book of interest is On either side from the carriage window, a detailed guide to the route of the East Coast mainline from London Kings Cross to Edinburgh Waverley. Aimed more at the casual traveller rather than the commuter, this interesting guide features a route map of the line along with details of places of interest along the route and of link lines and connections. As today, the East Coast main line was already one of the busiest rail routes in Britain with passengers from London able to travel to Yorkshire, the North East and Scotland within the space of a day. Speed was one of the primary concerns of the east coast railway companies who were in fierce competition with the rival West Coast main line from London Euston to Glasgow. East Coast rail guide to Hertfordshire including now closed link lines and branches. 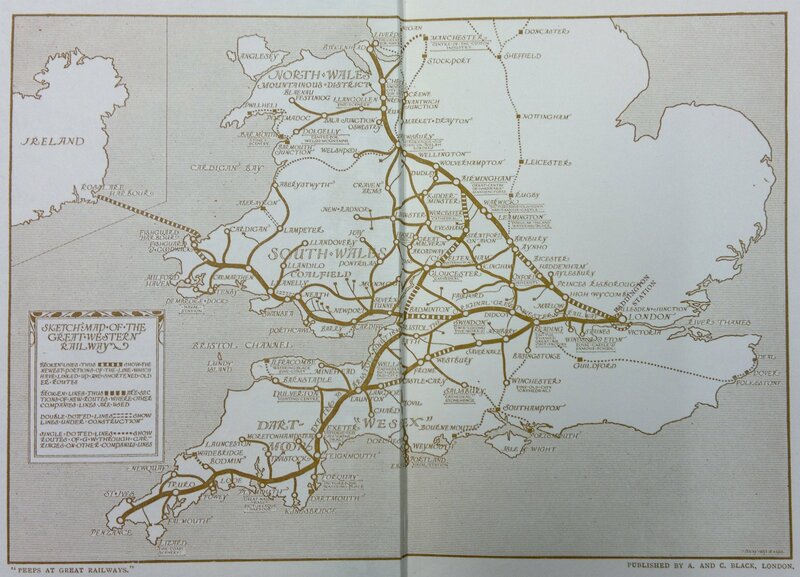 The Tower collection also contains literature about many other independent railways including the Great Western Railway, London and North Western and Great Northern along with a large collection of material produced by the North Eastern Railway. 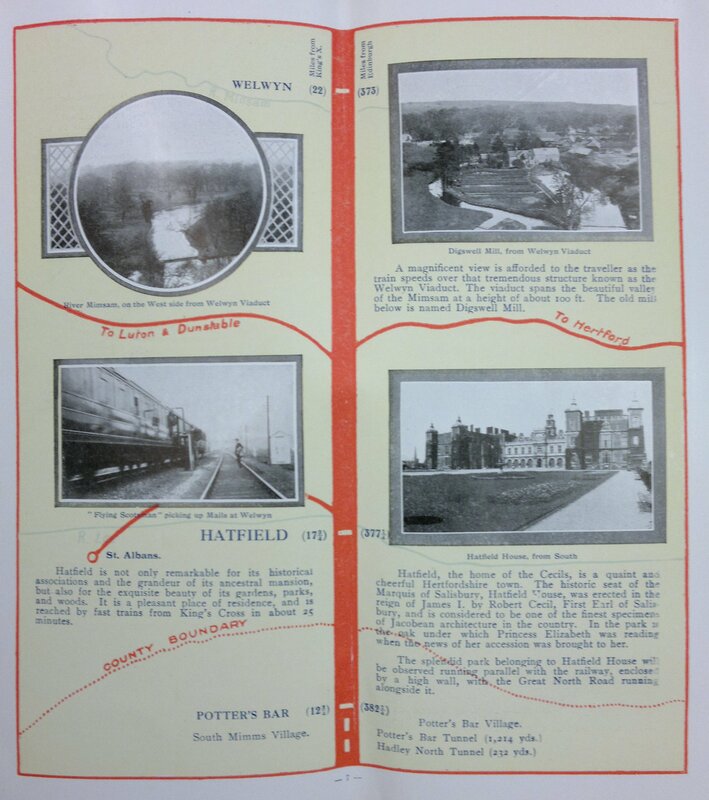 Not all authors were as pleased about the spread of the commuter belt as the major railway companies were. 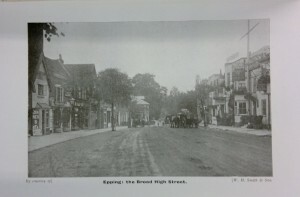 Gordon Home, author of a guide to the Great Western Railway bemoans the growing urban sprawl of London before the trains steam into the rural beauty of the Home Counties and Cotswolds. 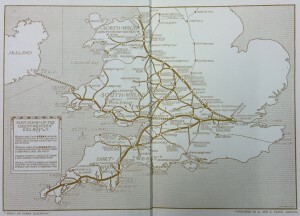 Map of the Great Western Railway in 1913. I wonder what Gordon Home would think of much of Britain if he saw it today? This entry was posted in Cambridge, Holidays, Railways, Transport. Bookmark the permalink.